Azerbaijani mugham, a pearl of the world music art will sound in a new way. Riad Mammadov Trio will perform one of the main genres of Azerbaijani folk music at Moscow's Bashmet Center on March 1, Day.Az reported. The organizers stressed that all over the world only a few professional musicians represent a new genre of jazz-mugham, among them Riad Mammadov, who is the only performer who reveals this musical direction not only from a practical, but also from a scientific point of view. On 7 November, 2003, UNESCO recognized mugham as a Masterpiece of Oral and Intangible Cultural Heritage of Humanity. In 2008, mugham was inscribed on the Representative List of the Intangible Cultural Heritage of Humanity. The concert will feature combine classical and jazz music. Riad Mammadov (piano), Igor Kondur (double bass) and Yevgeny Ryaboy (drum) will perform the works of Frédéric Chopin, Alexander Skryabin, Sergey Rakhmaninov. 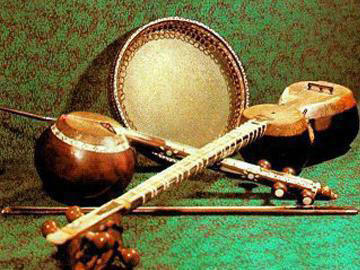 With centuries-old history, the Azerbaijani mugham, a treasury of the world music, continues to amaze the music lovers. This unique kind of music is based on the rich philosophical and literary ground. One of the most valuable monuments of the material and spiritual culture of the nation contains seven main modes - Rast, Shur, Segah (are especially common), Shushtar, Bayaty-Shiraz, Chahargah, Humayun and three collateral kinds - shahnaz, sarendj, chargah in some other form. Vagif Mustafazade is the founder of Azerbaijani jazz-mugham movement that emerged in the late 1960s and 1970s in Baku, as a result of the mixture of these two styles. Jazz schools around the world have recognized Vagif Mustafazadeh as a phenomenal musician. His works represent a unique combination of eastern and western schools, of tradition and innovation. Throughout years, he wrote numerous jazz compositions, including fugues, preludes, ballads and scherzos, many of them written in the 1970s. He released a total of eight albums, all with different line-ups, mood and style.